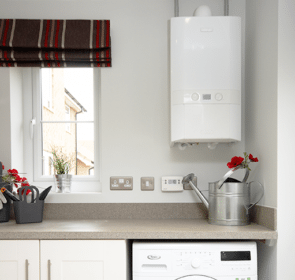 Electric Central Heating: Is It The Right Choice For Your Home? For some whose properties are not connected to the gas network, electricity is a viable option for warming up their homes. Do you need an alternative way to heat your home? Or do you simply want a more efficient heating system? Then electric central heating could be right for you! 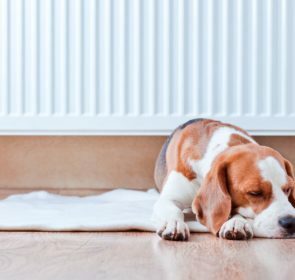 Read on to find out about the costs, details, and advantages of an electric central heating system. Electric central heating—an expensive option? In general, electricity is a costly way to fuel your heating system. Electricity costs around 16p/kWh and 9p/kWh for daily and nightly rates, respectively. This translates to an average cost of £1,968 to run for 1 year. Compare this to the much lower rate of 4.5p/kWh for mains gas and you might think that electricity is not a good choice for your heating needs. 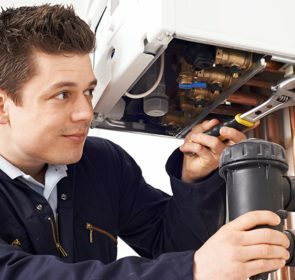 The yearly running cost for a gas system is around £736. However, there are certain situations where electricity is the better heating fuel, either out of necessity or preference. Is electric central heating right for you? You might be wondering this. Unfortunately, there is no straightforward answer. Your best bet is to contact a heating engineer to examine your property and heating needs. With our form, you’ll contact up to 5 trusted companies in your area. Additionally, you will be able to compare their prices easily—save up to 40% on your electric central heating system now! An electric central heating system will warm up your home like a charm. Storage heaters take in electricity during the night to heat up its heat-retaining bricks. Throughout the day, these bricks release this energy to heat the room. Electric radiators provide on-demand heat so economy tariffs do not apply. Rather than storing heat, radiators generate it and, with controls, you can dictate how much heat and when you need it. Alternatively, there are wet electric systems, with water-filled radiators. These work similar to normal radiators, only that it uses electricity to heat up the water. For heating water, you also have many options to choose from. An electric boiler works very much in the same way as other types of boilers except they use electricity as its fuel. A heating element warms up water, similar to a kettle. Pumps moves this water to radiators throughout your house. This hot water can also be pumped directly to an outlet or to a water storage tank, similar to that found in a conventional or system boiler. For these types of electric boiler, you benefit from tariff savings, as you can heat water during the night. For a combi boiler, you will be charged at the higher daytime rate. Heat pumps, either air source or geothermal, redistribute heat, rather than generate it. Powered by electricity, heat pumps absorbs heat energy from the ground or air and concentrates it via a pump. This is then used for heating a room or water. Another way is to heat water through a dedicated immersion heater. This is a heating element that is placed in a hot-water cylinder. Using electricity, the element heats the surrounding water,just like a kettle. Immersion heaters can be either your main source for hot water or backup. Electricity is a highly efficient form of energy and is considered to be much cleaner compared to gas or oil. With storage heaters, there will be minimal heat loss as there is no water traveling through pipes. A traditional central heating system has no individual control—if you want to heat a single room, the entire network must be turned on. Electric heaters work independently. Storage heaters are cheaper to install. They do not require an extensive pipe network or flue. Storage heaters take very little effort to maintain. Compared to gas, electricity from the mains is more readily available. There is no need to worry about maintaining supply levels of oil or solid fuels. No combustion takes place, which is safer for your home. No risk of carbon monoxide leakage. Electricity prices are much higher than oil or gas. Even with lower night time tariffs, electricity is still more expensive than other fuel types. Although there are no combustion by-products, producing electricity still consumes a lot of energy in the form of fossil fuels. Storage heaters do not provide instantaneous heating. Their bricks need time to heat up, meaning if they are not switched on the night before, you will have to wait till after the following night for heat. That means one day of cold rooms, which you probably don’t want! For heaters without an automatic charge control, you will have to manually set them up according to the weather and amount of heat desired for the next day. Electric heating systems tend to be small or lower capacity than its gas or oil counterparts. Keeping up with a large hot water or heating demand could be difficult. With multiple storage heaters, electric boiler, or heat pump, you will have to spend quite a bit in order to warm your home. Fortunately, there are multiple ways to save money on your electric heating system. One easy way is to shop around and compare brands, services, and prices! 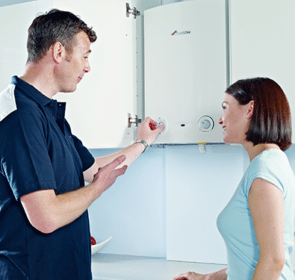 With our form, you will receive 5 offers from heating engineers operating in your area—you will be able to save up to 40% on your project and have the electric central heating that best suits your needs.